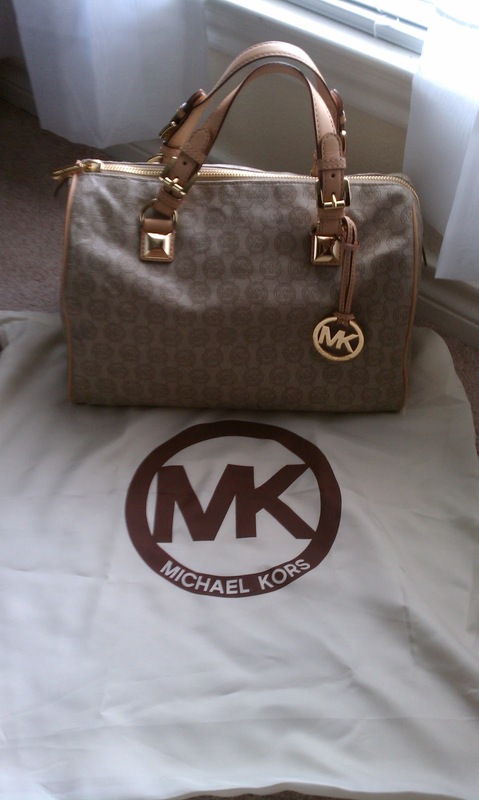 I was making one of my weekly strolls through Marshall's when I spotted this gem in the handbag section. To say that I was excited is an under statement! (I danced a little jig). 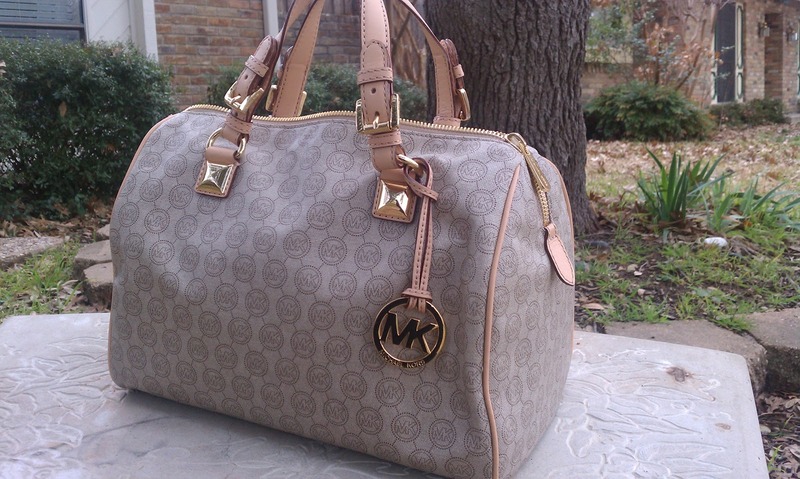 Its the MICHAEL Michael Kors Jet Set Grayson Large Monogrammed Satchel in beige, the bag features jacqured allover MK logo monogram, buff buckled leather top handles with golden rings, golden pyramid stud detail and a top zip closure. On the inside the bag has a key chain strap to attach your keys, a zipper pocket and four smaller slip pockets for a cell phone or other smaller accessories. 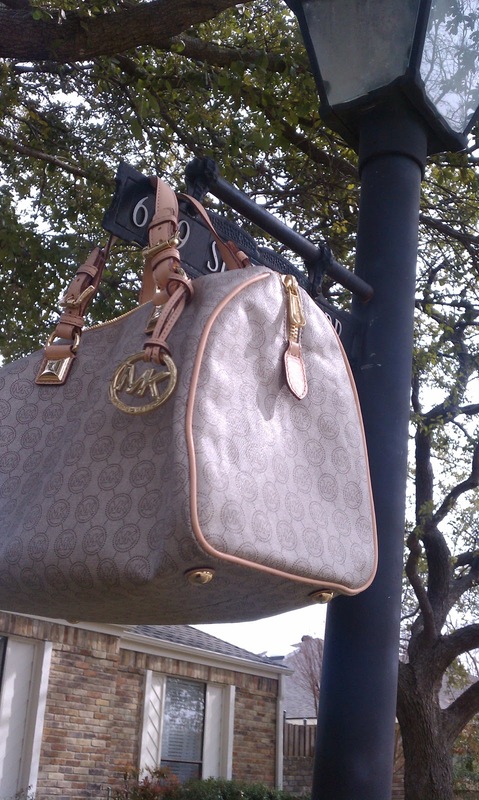 A golden MK circle logo charm that hangs from a buff leather strap adds a glam factor of the bag. 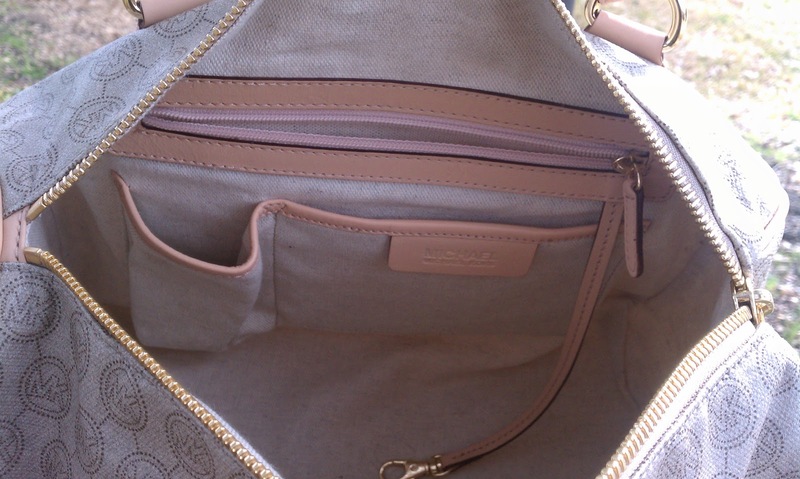 I am so in love with this bag and so happy that I found it :). 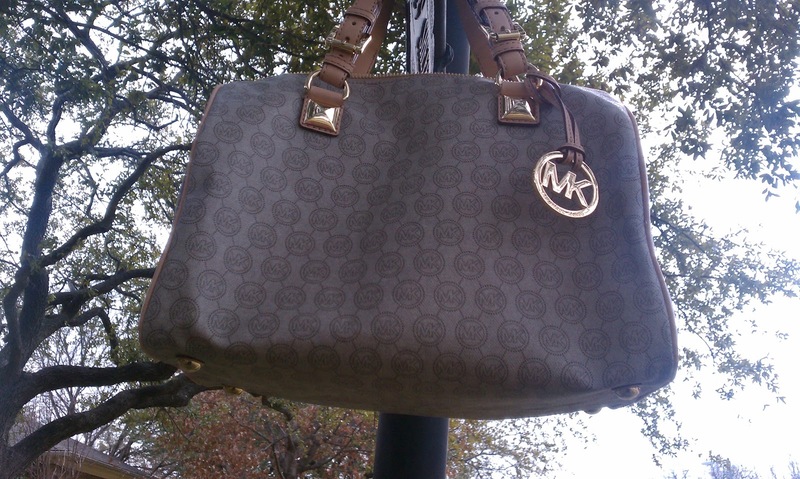 On the Michael Kors website the bag retails for $298 but I was able to snag for $150 (about half the price!!). 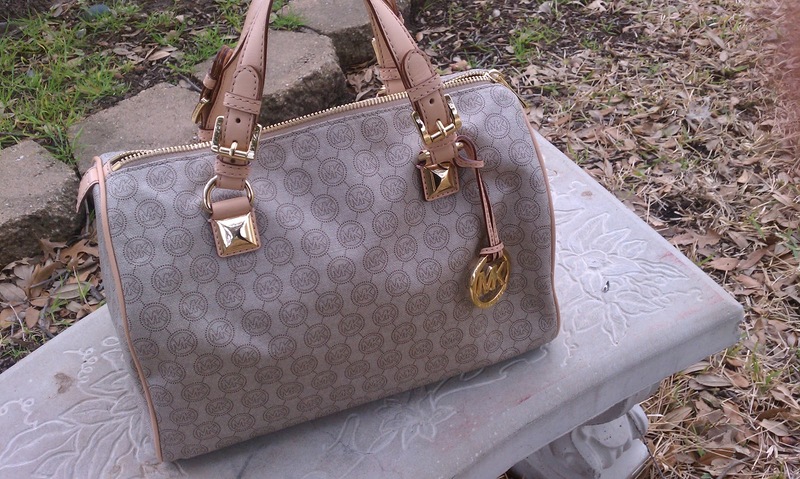 The beige color makes it an accessory that can go with any outfit that I rock. Love it!!!!!! 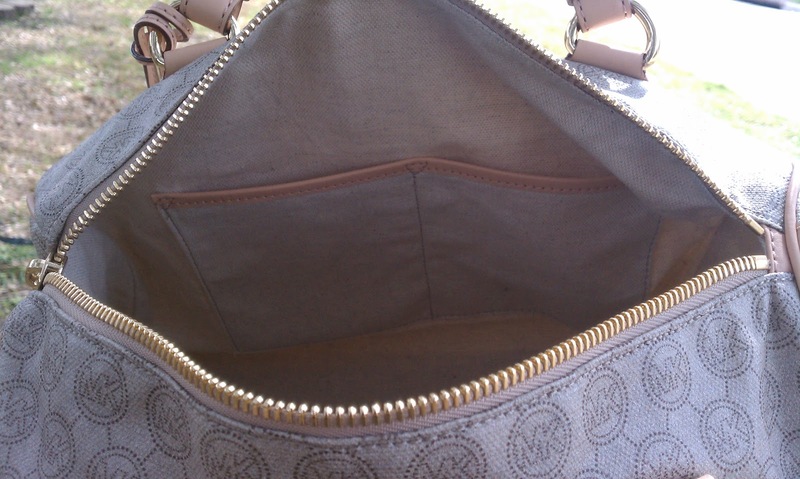 !You know I′m a real fanatic of Michael Kors′ bags! !